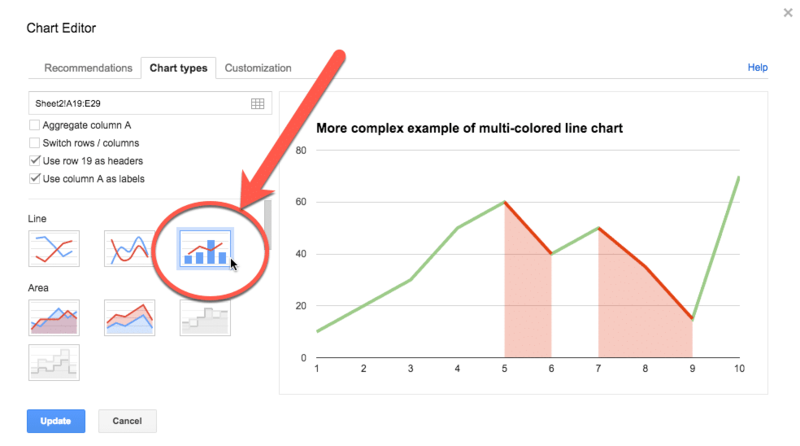 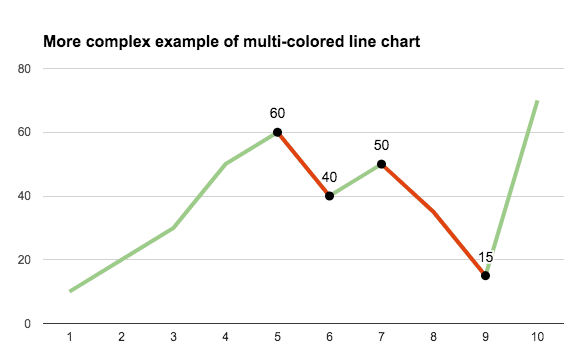 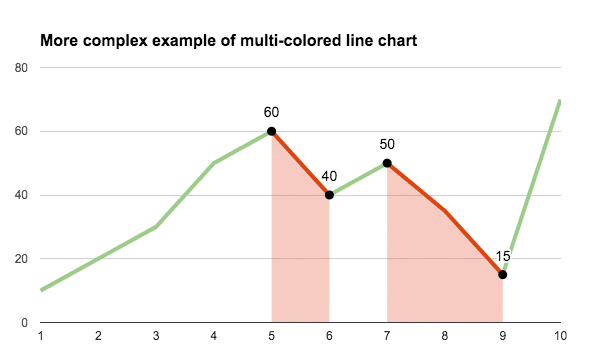 Colors are a powerful way of adding context to your charts, to bring attention to certain trends and add additional understanding. 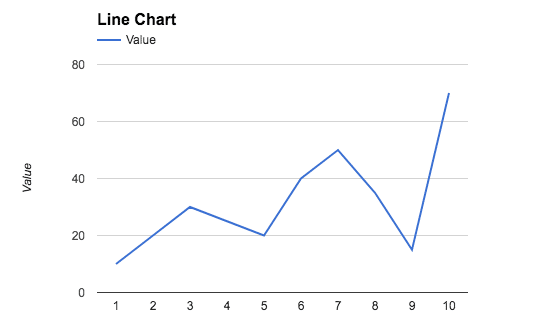 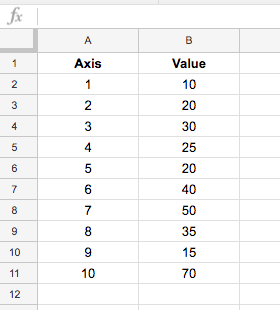 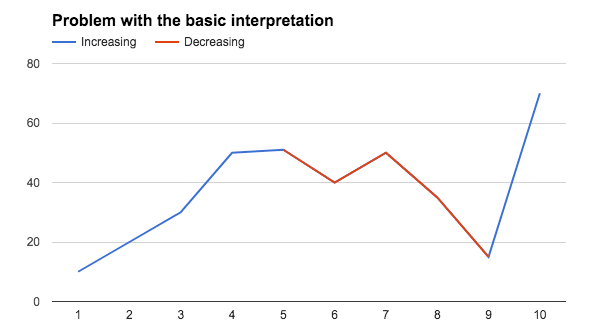 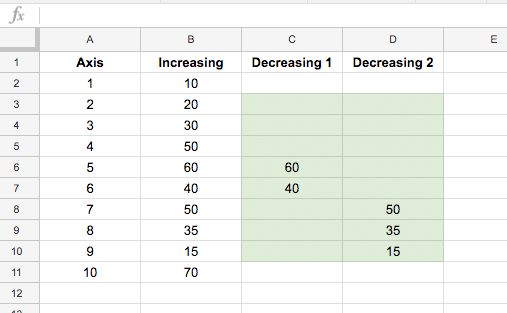 The embedded charts tool in Google Sheets is pretty basic, so we can only achieve this with a formula workaround. 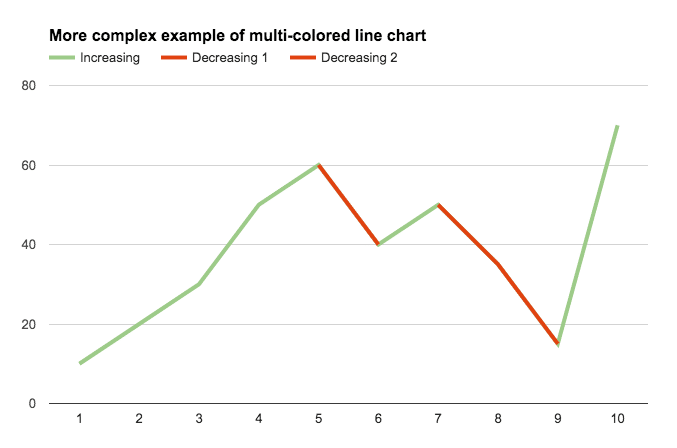 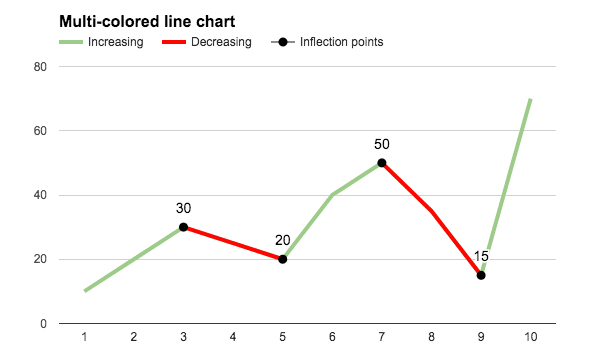 To create the colored version seen at the top of this post, we need to add helper columns to the dataset, one to create a dataset of decreasing values, and an optional column to mark the inflection points (where the line changes from going up to going down, or vice versa). 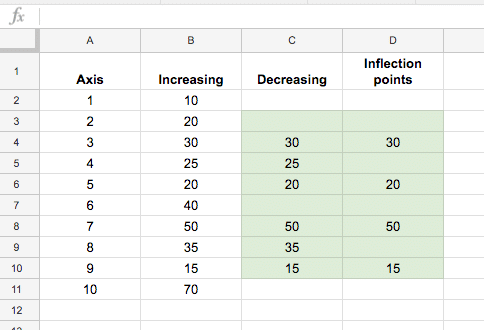 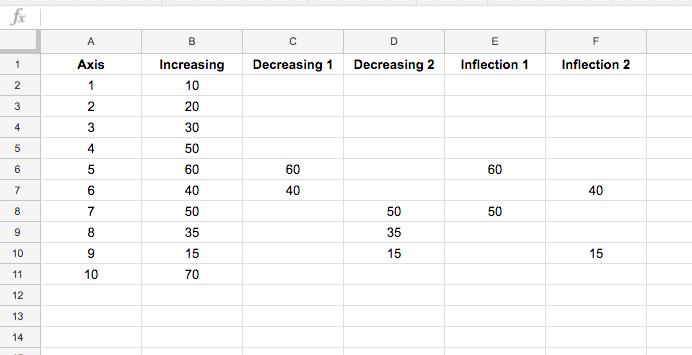 The green highlighted cells contain formulas to calculate the decreasing data and the inflection points (see below). 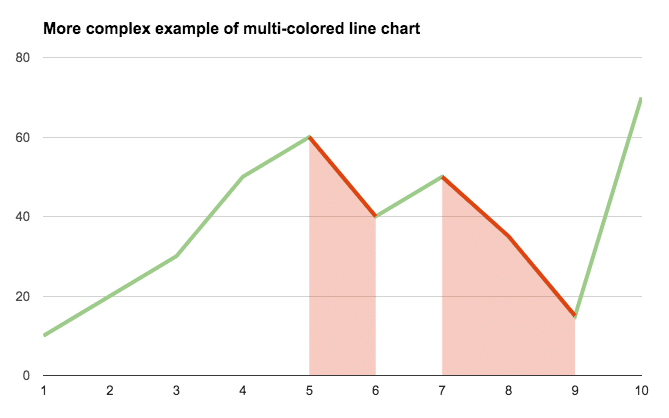 The first and last lines in column C and D (cells C2, D2, C11, D11 in this case) are left blank.